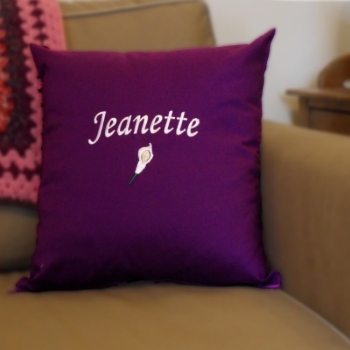 Bespoke embroidered scatter cushion beautifully embroidered with a flower and a name or little message. Select the font style you prefer. Enter a name, nickname, house name or little message ie; Happy Birthday. Add a flower motif you prefer - please select from the options.